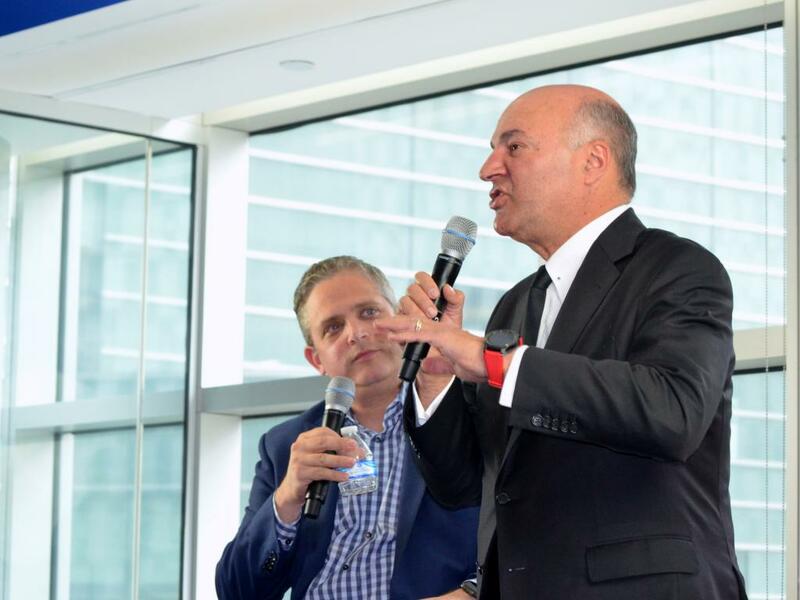 The rise of marijuana as an increasingly above-board business while it remains federally illegal is “the most interesting dilemma we have in the country,” Kevin O’Leary said during an appearance at Benzinga this week. The "Shark Tank" judge asked a roomful of business students and interns what “real” — institutional — money is doing in the cannabis sector. “Nothing,” he said, making a zero sign with his hand. Despite the legalization of marijuana for recreational use in nine states and medicinal use in 29 states, it’s the drug’s ongoing Schedule I DEA classification that sends financial institutions packing, O’Leary said. Institutional investors would like to separate medicinal marijuana from recreational and invest in an FDA-approved drug, the O’Shares ETF Investments chairman said. O’Leary spoke at the MJBizConNEXT conference earlier this month in New Orleans and has shared his views on the cannabis industry for years. “I should own 20 positions [in marijuana investments], but I can’t own one,” O’Leary said during the New Orleans appearance, according to Marijuana Business Daily. “I can’t break the federal law. I have to be compliant." Bloomberg reported that O’Leary was “met with skepticism” at a recent dinner for marijuana investors at actor Jim Belushi’s Los Angeles home that coincided with the annual Milken Institute conference. O’Leary suggested at Belushi's dinner that medicinal and recreational companies should be split and said federal legalization will be easier to achieve for medical purposes, according to Bloomberg. "Shark Tank" judge and O'Shares ETF Investments Chairman Kevin O'Leary, right, speaks at Benzinga's Detroit headquarters Tuesday with Benzinga CEO Jason Raznick. Photo by Dustin Blitchok.